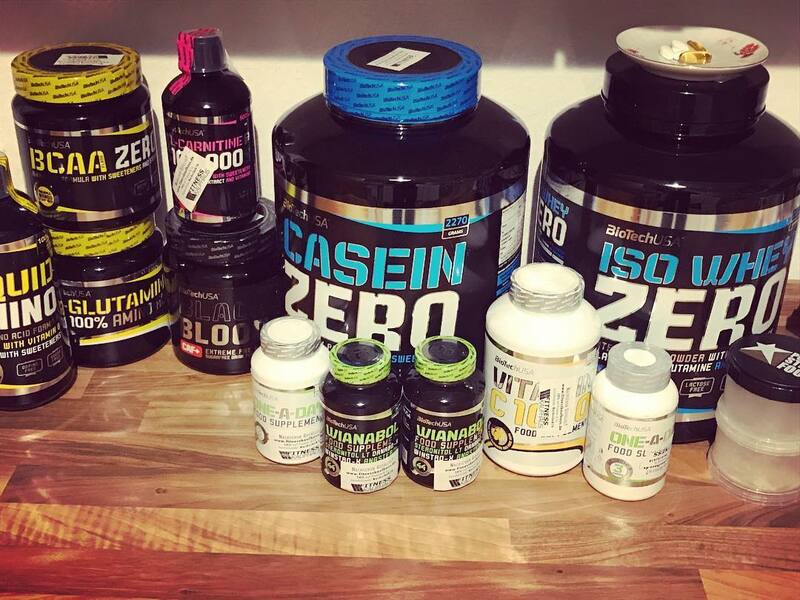 Testosterone BoostersBioTech Wianabol - 90 kaps. This is one of the most testosterone boosters, which has so far appeared on the market. Along with the 44 key components has been designed for male athletes who do not seek compromise with mediocrity. 81 loyalty points Your cart will total 81 points that can be converted into a voucher of 3,24 PLN. 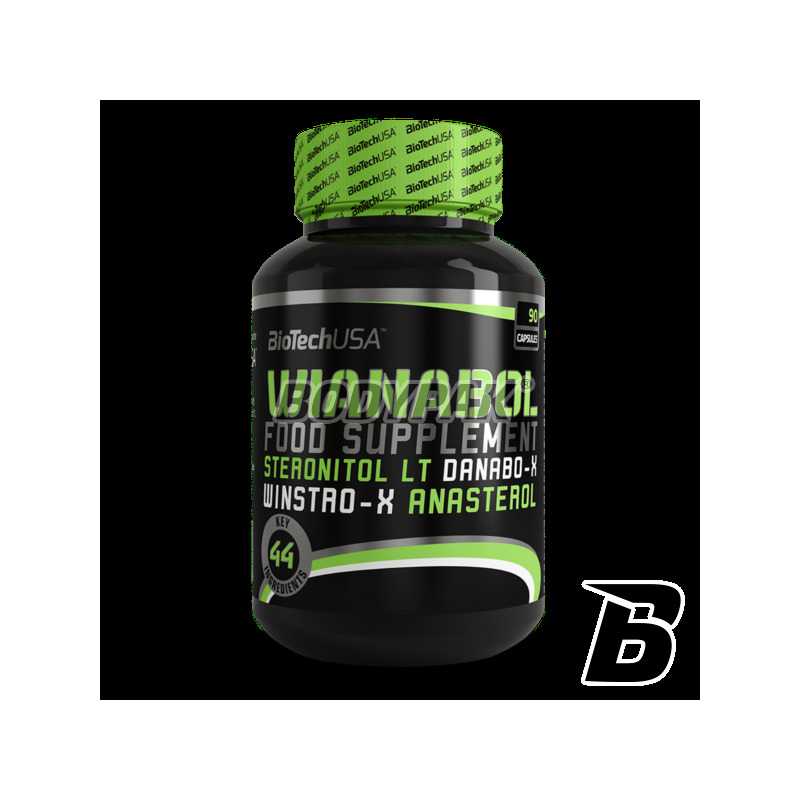 Wianabol is our most modern TST booster. With 44 key ingredients it was scientifically engineered for male athletes who don’t compromise with mediocrity. Wianabol is steroid-free. Like all BioTechUSA products, it consists of safe and carefully selected ingredients. 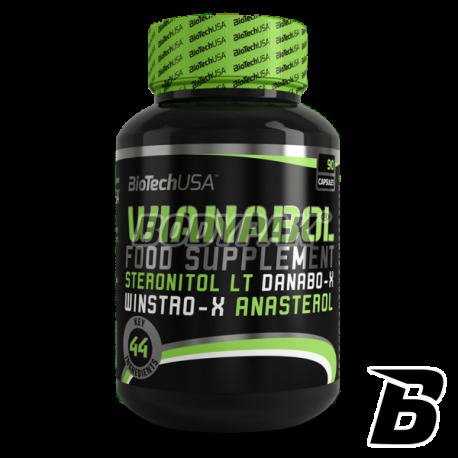 Ingredients: bulking agents (microcrystalline cellulose, dicalcium phosphate), capsule sheath (gelatine), Winthro-X ™ (muira puama bark extract, beta sitosterol, alfalfa, ginseng root extract, powdered mushrooms, ginger root extract, Harpagophytum root extracts), Steronitol LT ™ (Tribulus terrestris extract) Cucumber extract, guarana extract, l-arginine HCl, calcium alpha-ketoglutarate, Danabo-X ™ (saponin palm extract, saponin powder, thyme extract powder, Purified milk, anti-caking agent (magnesium stearate), niacin extract (17.5mg, 109% RDA), extract of lici Nettle, cola nut extract, ANAsterol ™ (spirulina extract, 5-methyl-7-methoxyisoflavone, spinach extract), ground linseed oil, lecithin, green mussel shark extract, Gymnema sylvestro extract, green tea leaf powder, Ginkgo biloba leaf extract, dandelion root extract, garlic extract, bioflavanoids (Citrus aurentium extract), dye (4R **), liquorice extract, black iron oxide extract, wheatgrass extract, powdered Guarana fruit, chlorella extract, coenzyme Q10, grape extract, lycopene. ** - May cause disturbed activity and concentration in children. Czekałem na coś takiego. Mega polecam. Faktycznie fajny skład i wygodna suplementacja. Za tą cenę nic lepszego nie dostaniecie.